Vote For Me As Ashton Kutcher's Vice President Of Pop Culture! Popchips has named social media favorite, Ashton Kutcher, the President of Pop Culture and the hip chip company would know! 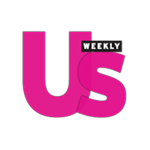 Popchips is always seen at the best events including fashion shows, launch parties, NYC events, the Mercedes-Benz Polo Challenge in the Hamptons and more. Popchips even sponsored OJ&B's 1st Birthday Bash! Basically, the party is not poppin' unless Popchips is there! A good President requires an even better Vice President to help him with everything that pop culture has to offer from music festivals to fashion week to celebrity interviews. This is why I would be the perfect candidate to become Ashton's Vice President of Pop Culture. My fashion and pop culture blog, Orange Juice and Biscuits, has given me the unique opportunity to cover so many fun things and mix and mingle with the best of the best. The video I made for the contest lists my qualifications perfectly so check it out below! If selected, I would serve as VP of Pop Culture from April 2011 to March 2012 and receive $50,000 cash (now that is something to pop about)! THANKS FOR WATCHING MY VIDEO NOW GO POP THE VOTE!! I cannot win without YOUR VOTES! All you have to do is go to the link that I will provide for you and click on VOTE. THAT IS IT! No signing up for anything or registering your life away. Do that everyday until March 9, 2011 and I could make it to the top 5! If you read my blog or follow me on Twitter then you know that I live , breath and eat pop culture! This is the perfect way to show support for OJ&B so jump on the campaign trail with me and pop the vote! 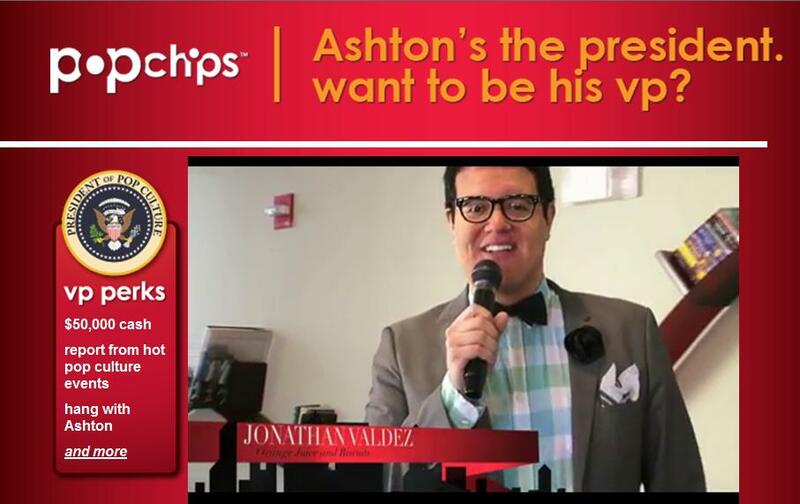 For more information and to vote for me as Ashton Kutcher and Popchips' VP of Pop Culture, click here then click Vote! !